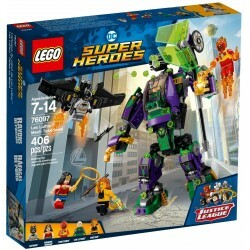 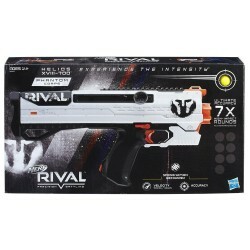 Go into battle as a member of the Phantom Corps team with the bolt-action Nerf Rival Helios XVIII-700 blaster! 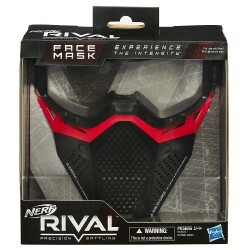 Phantom Corps is a group of rogue specialists who may join Team Red or Team Blue today, then challenge them tomorrow. 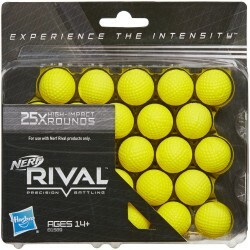 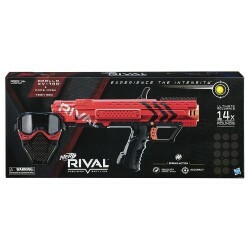 Nerf Rival battles will never be the same! 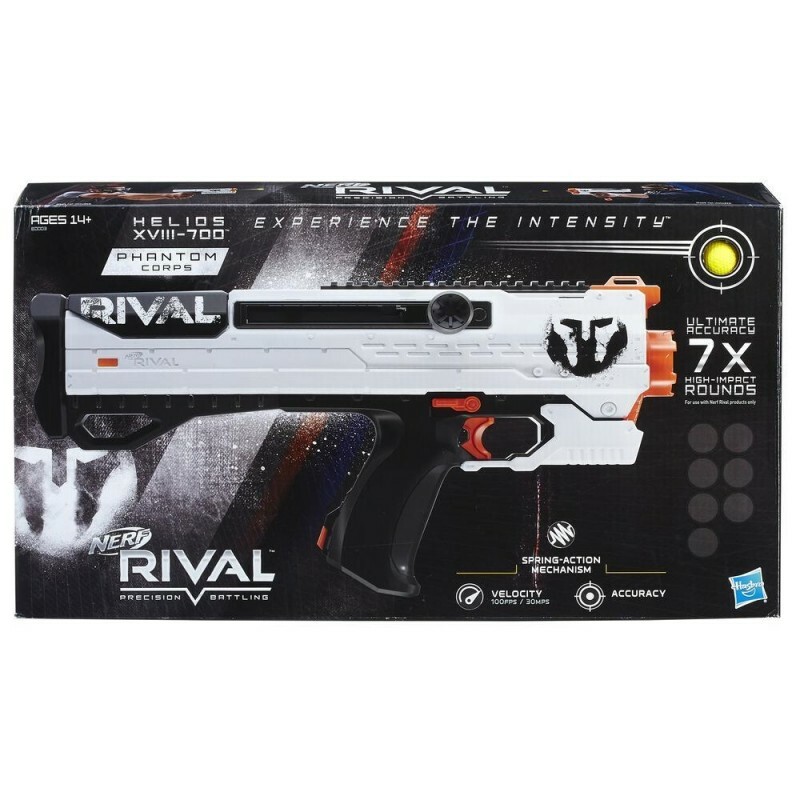 Slide the bolt to load the Helios XVIII-700 blaster and unleash rounds at 100 feet per second (30 meters per second) at the opposing team! 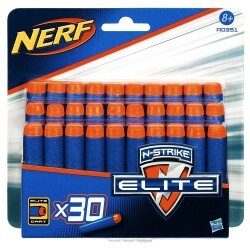 The blaster includes an easy-loading, 7-round magazine and 7 high-impact rounds. 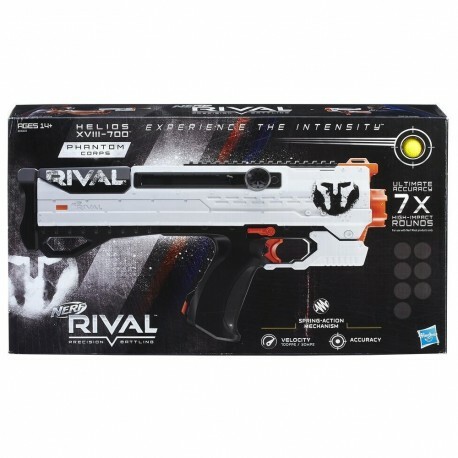 This Nerf Rival blaster also has a trigger lock and tactical rail. 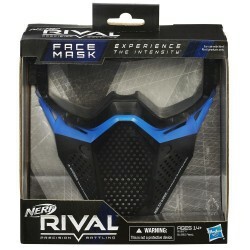 It comes with red and blue flags that players can wear whenever they choose to join Team Red or Team Blue. 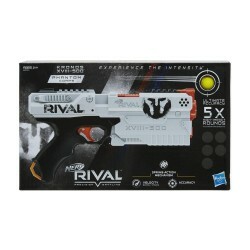 Experience the intensity of Nerf Rival with the Nerf Rival Phantom Corps Helios XVIII-7500 blaster!